Climate change is a serious issue that all levels of government in Canada must work to solve. Federal, provincial, and even municipal governments all have a significant role to play in reducing greenhouse gas emissions (GHGs) so that Canadians retain a high quality of life – now and into the future. To support Canada’s climate change goals, 11 Quebec municipalities have recently received Canadian government funding. Eleven Quebec communities have received a total of $1,500,000 in green infrastructure grants from the Federation of Canadian Municipalities’ Municipalities for Climate Innovation Program (MCIP). The Municipalities for Climate Innovation Program (MCIP) helps municipalities and partner organizations by providing training, funding, and information sharing. It supports innovative green infrastructure to help communities across Canada act on climate change and reduce greenhouse gas emissions. The awarded climate change mitigation projects will help Canada continue to build a clean-growth economy and protect the health of residents. Varennes, Maniwaki, Mercier, Pontiac Regional County Municipality, Saint‑Fulgence, Saint‑Constant, Saint‑Charles‑sur‑Richelieu, Carleton‑sur‑Mer, Îles‑de‑la‑Madeleine, and Saint‑Siméon. Canadian government funding for green infrastructure will go towards adding a shared electric vehicle to each of the municipalities’ vehicle fleets. In addition, each will be installing electric service stations. Municipal employees will use the vehicles during office hours and when not in use, the vehicles will be available to the community. This project is giving the municipalities an opportunity to pilot innovative green solutions that reduce greenhouse gas emissions across the province. The city of Rivière‑du‑Loup will also receive $750,000 in funding for their climate change mitigation project. Funding will go towards further developing the city’s storm drainage system, as it does not have the volume to handle overflows on one of the city’s busiest roads. The plan includes the construction of a storm sewer, storm water retention ponds, swales, and new sumps to better control storm water run-off. This infrastructure development will reduce the amount of sewage water being released into the environment, protect businesses and residences, and improve roadway safety and traffic flow. The Municipalities for Climate Innovation Program (MCIP) provides training, resources, and funding for projects supporting reduced greenhouse gas emissions (GHG) and climate change initiatives. A five-year, $75-million program, MCIP is delivered by the Federation of Canadian Municipalities and funded by the Government of Canada. The Municipalities for Climate Innovation Program provides up to 80% of project costs in funding for climate change projects. The call for MCIP applications is currently closed. Communities are encouraged to look at other programs offered by the Federation of Canadian Municipalities, including the Green Municipal Fund (GMF) and the Municipal Asset Management Program (MAMP). 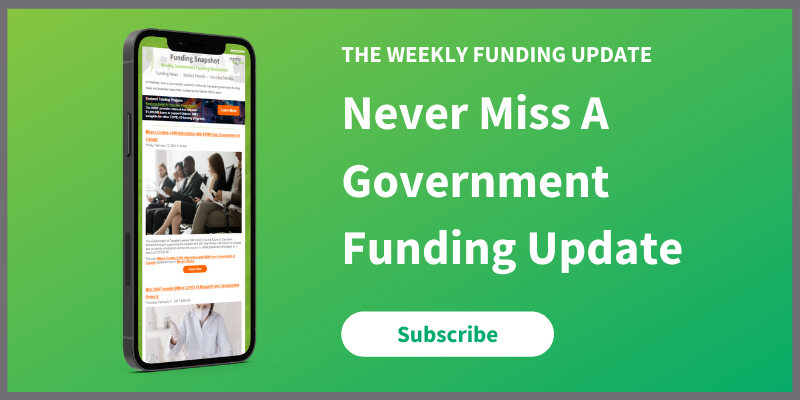 Canadian municipalities interested in learning about additional government funding programs supporting innovative green infrastructure, please sign up for Mentor Works’ Weekly Funding Newsletter.